The hardliner faction of militant outfit United Liberation Front of Asom (ULFA) led by Paban Baruah Alias Paresh Baruah alias Paresh Asom has developed its authoritative and savage exercises leaving the Assam Police and intelligence in an uncomfortable stage. In the last few weeks, the outfit has kidnapped several businessmen for ransom and launched violent attacks on civilians. There are also reports of extortion notice served by the outfit to businessmen and tea garden managers. After a split between leadership, one faction of the outfit is in agreement for lateral-talk with the Government of India in 2011, while the other revamped by renaming the outfit as United Liberation Front of Asom (Independent) i.e. 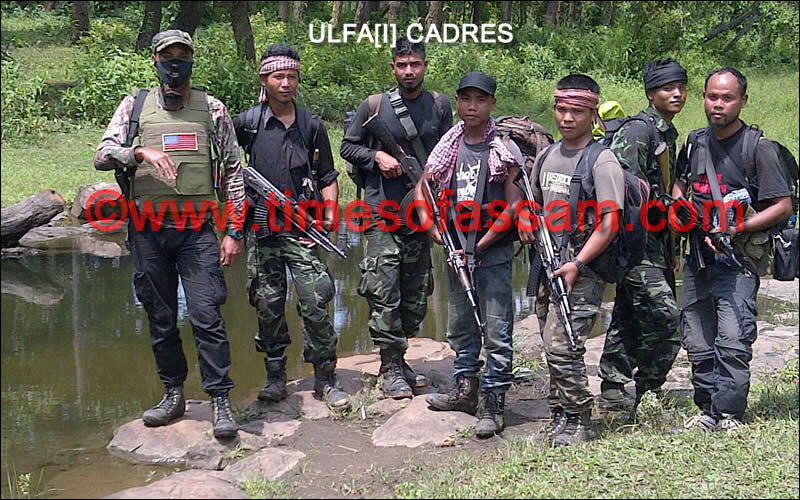 ULFA (I) in short, adopting common surname “Asom”, and committing to militancy. Meanwhile, a sudden show of affection by Assamese Media to ULFA(I) and the importance being given is dangerous for Assam’s near future. In recent times, in both print and television media, Paresh Baruah led ULFA(I) has been under constant coverage showing how in recent times the banned outfit has been able to drum up a huge number of supporters. There have been hundreds of educated youngsters who had joined the outfit, following the atmosphere of resentment being created in the state against the Citizenship Amendment Bill that threatens to cease the Assamese identify by providing legal citizenship to illegal Hindu Bangladeshis, who are in millions in the state. Media has also shown that in recent times, books written in the context of Independent Assam, about ULFA has been the best sellers in the recently concluded North East Book Fair, held in Guwahati. Such news giving importance to the banned outfit has been given ample viewership to TV News Channels and giving the TRP best. But there are several questions that need to be answered. The role of the Media is to not just create a sensation but to stand as the true pillar of democracy, by showing right from wrong and help create positive mass opinion. In Assam, most of the renowned journalist or writer of present Assam has become famous by either supporting or criticizing ULFA as ULFA was and is always the hot topic to gain opportunities for many media personnel. In 2012, when a lady teacher, Jahnabi Mahanta Rajkonwar had joined ULFA, almost all Assamese media were quick to report that she had joined ULFA because of her affair with its Chairman Dr. Abhizeet Bormon Alias Dr. Abhizeet Asom, and not for any ideology. 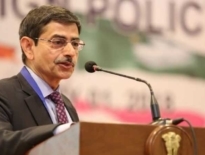 It was clearly a defamation trick used by Indian Intelligence as the identifier of the outfit’s elusive chairman was not known till then and was a mysterious character. The Assamese media, who has always been biased and showed a single side of the coin was quick to defame Jahnabi alias Rashmita Asom, a teacher, and mother of two, who had abandoned her comfortable job and family to join a tough jungle life in quest of an independent Assam. About a year later, it was found that the charges were false and that she had passed away due to her sickness, though not before publishing, some songs and poems for the outfit which had gone viral those days. There are reports from different media sources about PCG member and lateral talks Interlocutor Rebati Phukan. One newspaper reported that he had joined ULFA (I) while other news channel reported that he had been killed by intelligence in support of pro-talk ULFA members. Likewise, there has been news of Paresh Baruah’s death and a few days later, there has been an hour-long live interview of Paresh Baruah talks to the Editor of a news channel. There is controversy over the addition of Paresh Baruah’s own nephew, Munna Baruah. Most media reported that Munna Baruah had joined the outfit with his own request. It very well may be made sense of that Munna Baruah alongside one Abhijeet Gogoi went to meet his uncle Paresh Baruah to ask about his well-being following a mishap he apparently had, however, looks like intelligence sources made the gossip that he had joined the outfit and this turned into the news! It should be noted that the channel’s editor asked Paresh Baruah about his nephew joining the outfit in a recent television interview with Paresh Baruah. But Paresh Baruah deflected the question very cleverly, but repeatedly pointed out that there are other educated young people who have joined the team and taken the topic in a different direction. The media personnel or writers, who are now peace lovers, were the actual instigators of the armed movement just two decades earlier and now strangely try to orchestrate it again. Late Parag Kumar Das was probably the lone exception that not only did come and stood on his ground, but he had to give his life for a reason. It can be well witnessed that Assam is now in a dangerous situation. On one side, the local media is printing and airing news about ULFA (I) and giving the outfit a boost! The ULFA pro-talk faction continues to argue that their peace talks are nearly over and that a solution will be found, on the other hand, law and order simply deteriorate every day and there are regular reports of extortions, kidnappings, killings, gunshots, and grenade attacks. Hundreds of young people are reported to join the outfit, but Paresh Baruah himself or the outfit probably doesn’t know how many of them are intelligence moles sent to ULFA(I) camps. Likewise, the split in NSCN (K), a long ally of ULFA(I), will make it difficult for the outfit to maintain the camps when youngsters join them. The cost of the outfit may continue to increase and pay for all these costs, thus the extortions and kidnappings would only diminish in Assam unless stopped immediately. It is time for the media to stop fueling the feelings of the people of Assam, or even if they continue to do so, the people of Assam should stop believing them blindly, as they are only opportunistic at the end of the day.